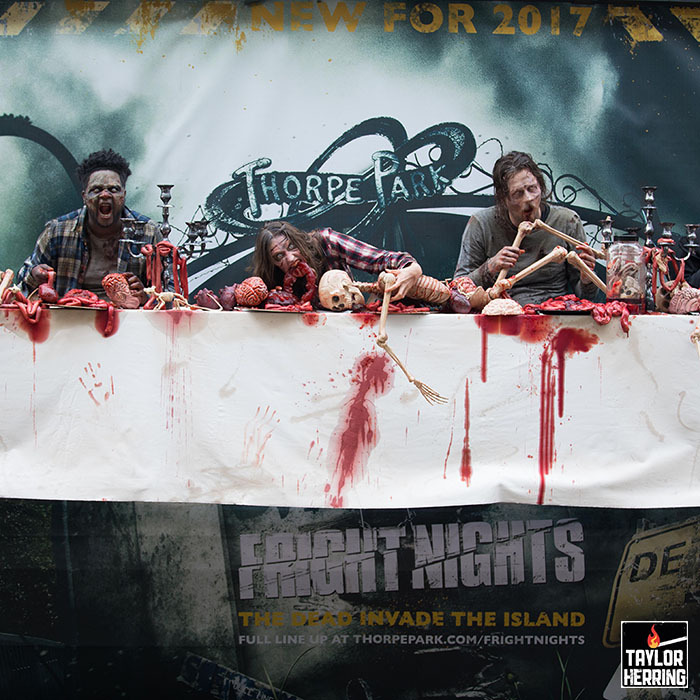 Commissioned by Taylor Herring, Thorpe Park Resort unveiled a gore fest of a billboard for the launch of “Fright Nights” and their two new ‘The Walking Dead’ mazes. 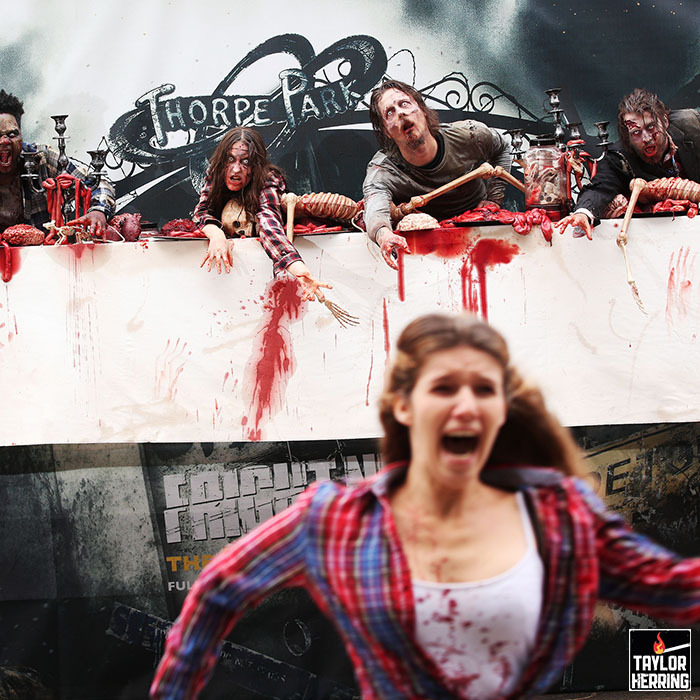 Alongside creating the bloodied props for the activation, Plunge also designed and installed the billboard. 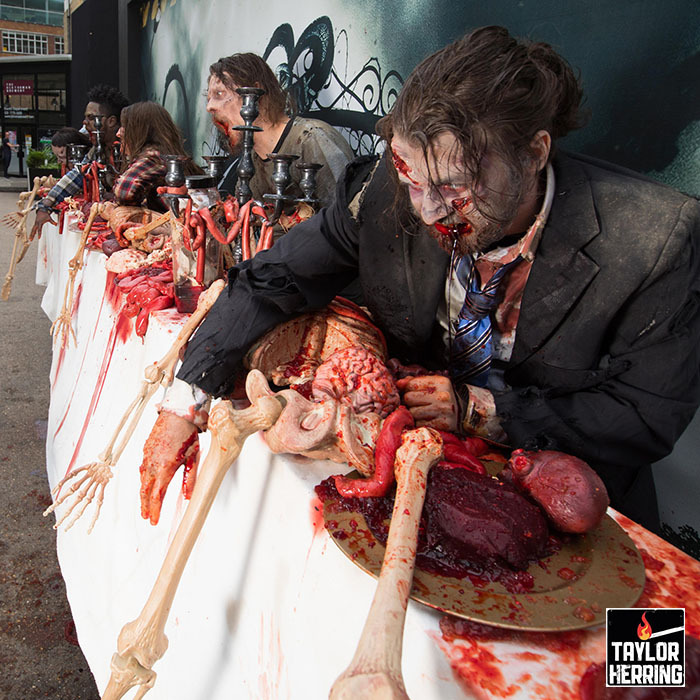 The billboard was built so that it could be rigged to the side of the truck and take the weight of the five zombies while they gorged themselves on blood and human remains. 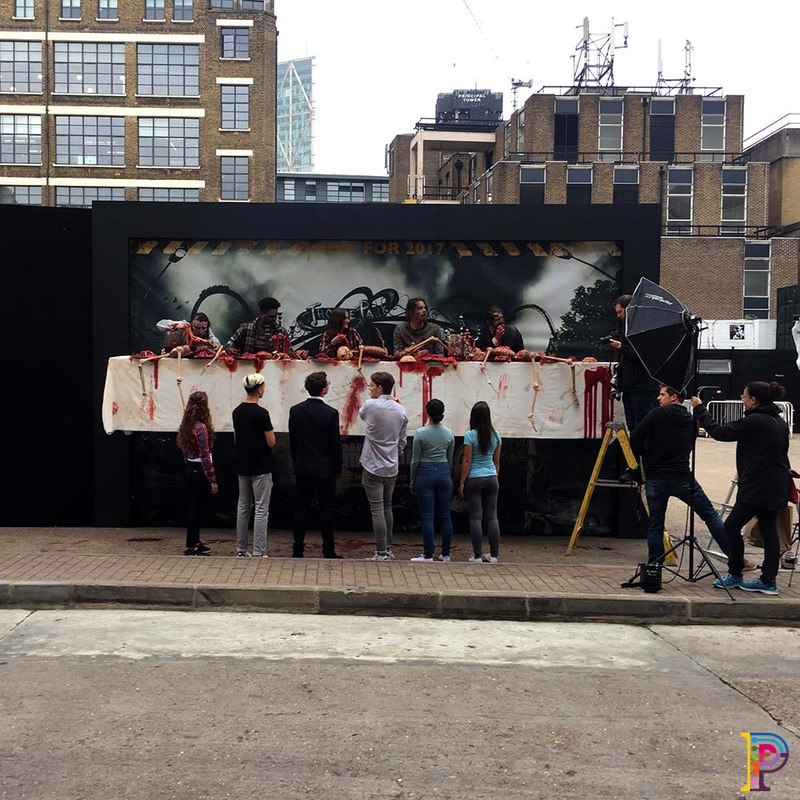 As part of the installation, the living (dead) billboard, which was installed in Shoreditch, soaked unaware passersby in fake blood and guts before the zombies escaped from it and took to roaming the streets.